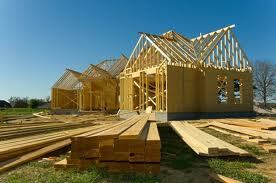 Are you looking to buy a new construction home or condo? For new home purchases in Jacksonville Florida and surrounding cities from Amelia Island to St. Augustine, LinkUp Realty offers an excellent home rebate program to put a little cash back in your pocket. Here is how it works: Majority of builders are willing to pay for your use of a real estate agent when purchasing a home. The real estate agents commission is included in the price of every new home in Florida, whether you use and agent or not! This is where we come in. We will give you a 1% cash back home rebate, just for using us as your agents. Not only will you receive free money back, you will also receive help from expert agents to guide you through the home buying process and make the deal go smoothly and quickly as possible. The 1% rebate will be paid to you at closing for you to put toward home improvements, moving costs, new furniture, or a credit towards closing costs! Unlike many other agents who offer rebates in the Northeast Florida new home market, our agents will fully represent you and guide you through the entire home buying process by showing all the homes, familiarizing you with the area, guiding you in financing, and whatever else you need help with. With our knowledge and negotiating skills, we can typically save you a substantial amount of money in the process as well. True “full service”, and we pay you! We are VERY familiar with virtually every builder and neighborhood in Jacksonville, St. Augustine, Orange Park and Ponte Vedra Florida. We have floorplans, community information, and pricing for virtually every neighborhood, so you will not have to go from community to community to find this information, we provided it for you! It is always important to have an agent who will work to protect your interests in one of the biggest investments of your lifetime. Sound to good to be true? It isn't! Just fill out the form below or give us a call to discuss how we may be able to serve you. Click Here to view community profiles with homes for sale for ALL communities in Northeast Florida, as well as all of the builders & developers websites! Make sure you call us before calling the builders!